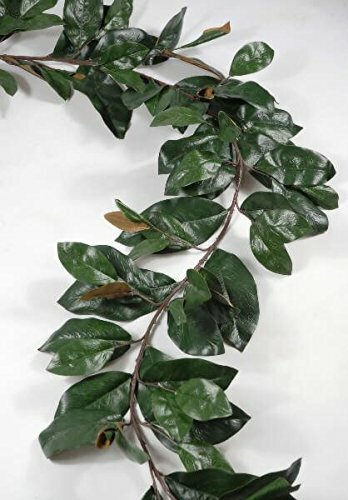 This lush 6 foot magnolia leaf garland has a natural touch and look. leaves range in size from 4"to 7.25" long x 2.25" to 3.25" wide. It is entirely wired. This lush 6 foot magnolia leaf garland has a natural touch and look. leaves range in size from 4"to 7.25" long x 2.25" to 3.25" wide. Perfect for Home, Events, Weddings & More!